This shows you how to connect to a database. A main window is horizontal devided in two separate spaces. 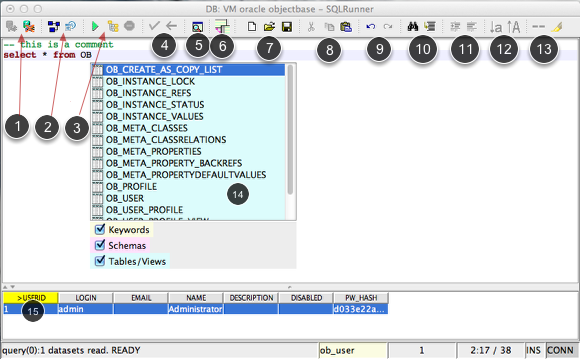 The top space contains the SQL editor with syntax highlighting and the ability to handle complete script (separated with ; or with / for SQLPlus scripts). The buttom space contains the table for the selected table data. 10. Search/replace text within the editor and jump to a line by a number. 1. There are a couple of types predefined. 3. add some comments or further configurations, Set connection as productive to get a different background color in editor. This prevents you from doing the wrong things on a productive environment. 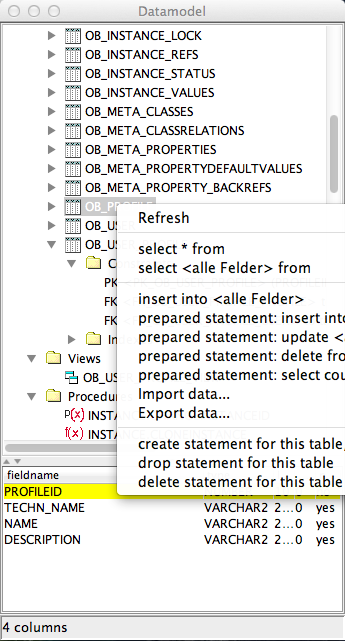 Each table has more child nodes showing constraints (primary keys and foreign keys) and indexes. This dialog will show always on top and a double click on an element will put its name on the current position in editor. You can compare two schema from the same or different connections. If database systems support multiple databases (like MySQL or PostgreSQL) , they will shown under the connection node (1). Otherwise you find a default database node named "Database". MySQL e.g. 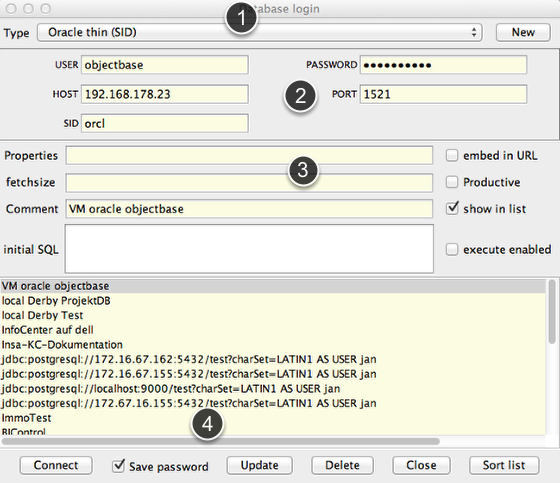 does not suppprt schemas (in fact there is sometimes a bit confusion between databases and schemas in MySQL). 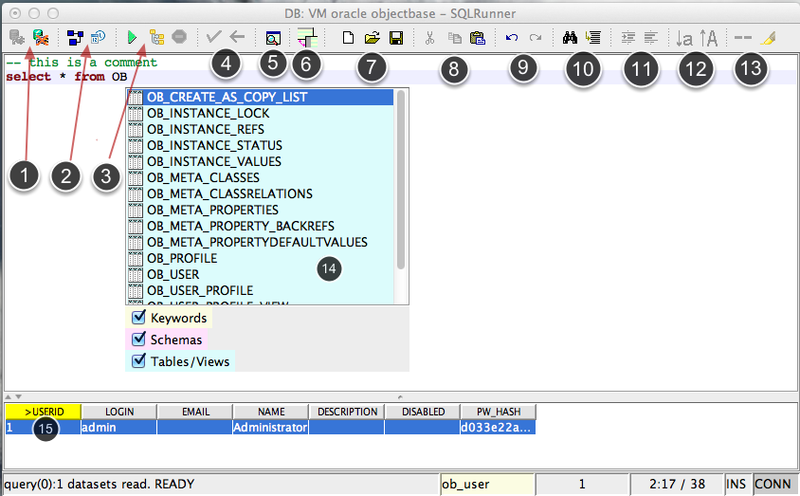 In such cases you find a default schema different called as the database. In the button area (3) you find a info panel with the ability to count (and memorize with a timestamp) the amount of datasets and showing the comment.